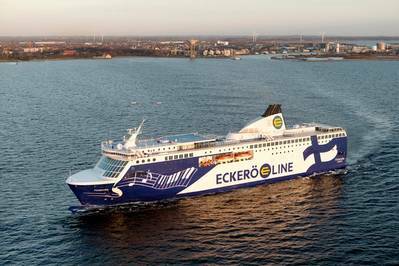 Wärtsilä and Rederiaktiebolaget Eckerö have extended their long-term maintenance agreement for Eckerö's entire fleet of five vessels. Wärtsilä is providing leading digital maintenance concepts to meet the customer's needs. The five-year agreement between Wärtsilä and Rederiaktiebolaget Eckerö covers five vessels. One of the vessels has been fitted with the Wärtsilä Condition based monitoring system, which provides data to enable dynamic maintenance planning. "We have very positive experiences of working with Wärtsilä and wanted to extend our cooperation further. Wärtsilä was able to offer a customized service package that met all our maintenance needs. Furthermore, these services increase cost predictability and reduce risks. We consider Wärtsilä a trusted partner," says Daniel Olsén, Technical Manager, Rederiaktiebolaget Eckerö. The aim with the dynamic maintenance planning solution is to extend maintenance intervals and reduce spare parts consumption. Maintenance operations are then planned based on expert analysis of the engine's condition and the real-time data provided by the engines. DMP and CBM are part of the recently launched Wärtsilä Genius services, which optimise customers' operations with innovative digital solutions. "We are happy to take our cooperation with Eckerö to a new level. We value their trust highly. With these services, we are able to gain useful data and can help Eckerö maintain and safeguard engine availability. Customized solutions or service packages, such as this one, are Wärtsilä's way of ensuring that our customers get exactly what they need in order to operate efficiently and reliably," says Peter Guldbrand, General Manager Sales, Service Unit Baltic and Black Sea, Wärtsilä.